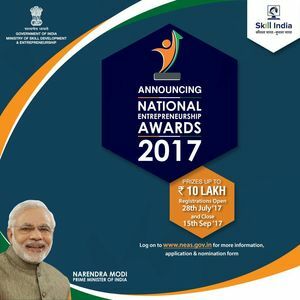 XLRI is pleased to partner with the Ministry of Skill Development and Entrepreneurship, Government of India, for the National Entrepreneurship Awards, 2017. As a key institutional partner, XLRI will play a crucial role to mobilize, support and encourage participation in the Awards across Jharkhand, Orissa, Assam and other North East Indian states. Professor Vishwa Ballabh and Professor Madhukar Shukla will anchor the initiative at XLRI, with able support from the Entrepreneurship Cell of XLRI.